On Friday, 22nd November the Minister for Education and Skills, Mr Ruairí Quinn, T.D. returned to St John the Baptist National School, Midleton, County Cork to see the end-product of the foundations he had viewed just over a year ago. 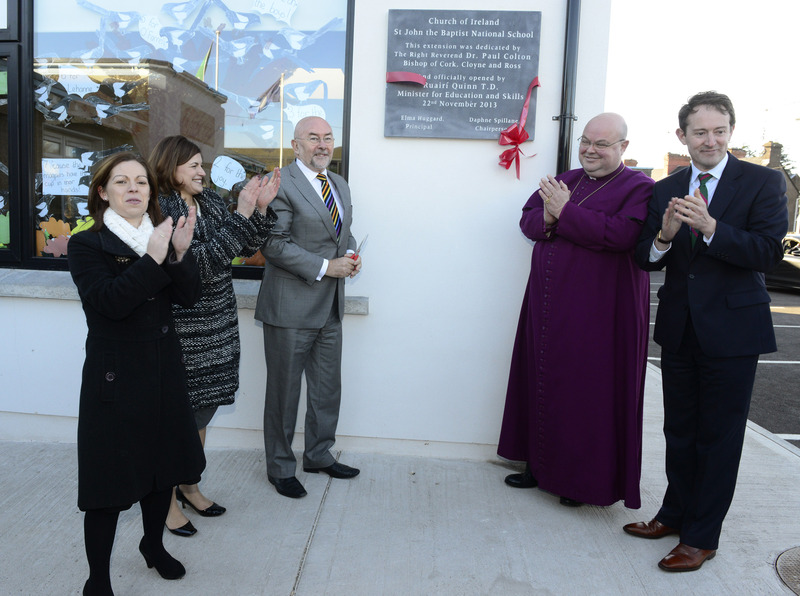 A substantial 6 classroom extension to the school was dedicated by the Bishop, the Right Reverend Dr. Paul Colton, and opened by the Minister. 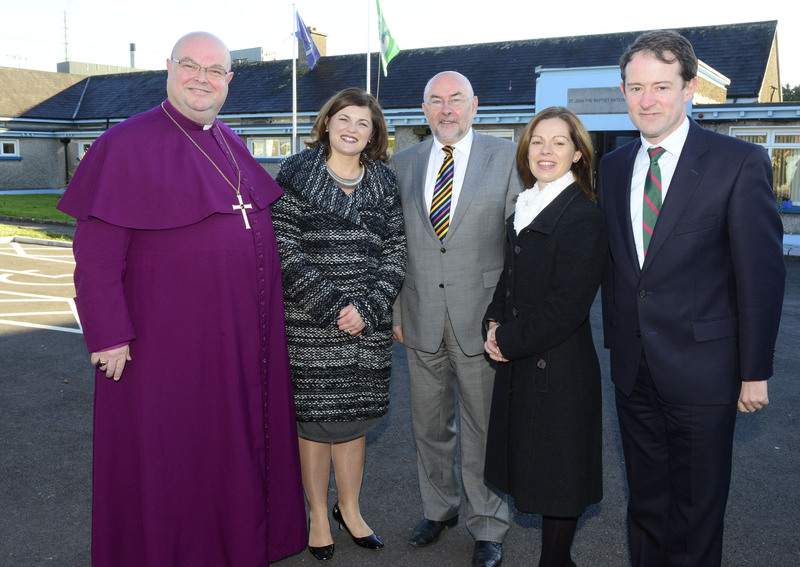 Chairperson of the School Board, Daphne Spillane welcomed the Minister and the Bishop (who is also Patron of the School). 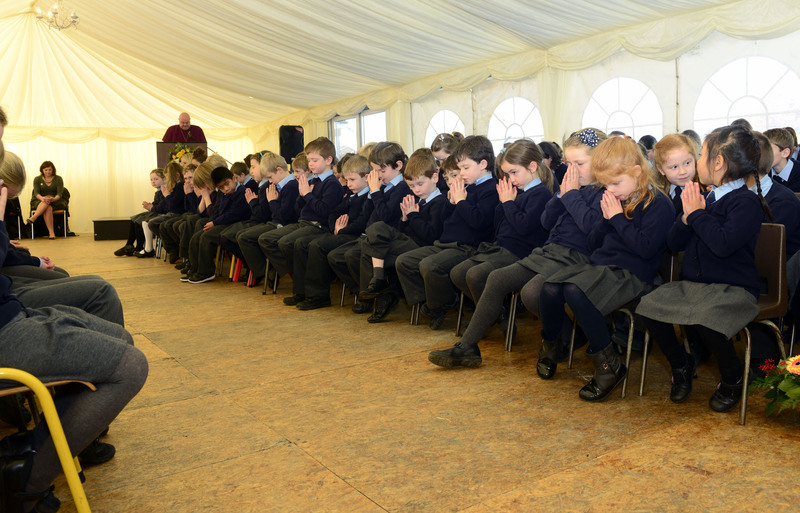 Ms Elma Huggard, School Principal, said that it was an exciting and proud day for everyone in the school community. Earlier in the morning the Dean of Cloyne, the Very Reverend Alan Marley, led a Service of Thanksgiving in the Parish Church of St John the Baptist nearby and the Bishop presided. 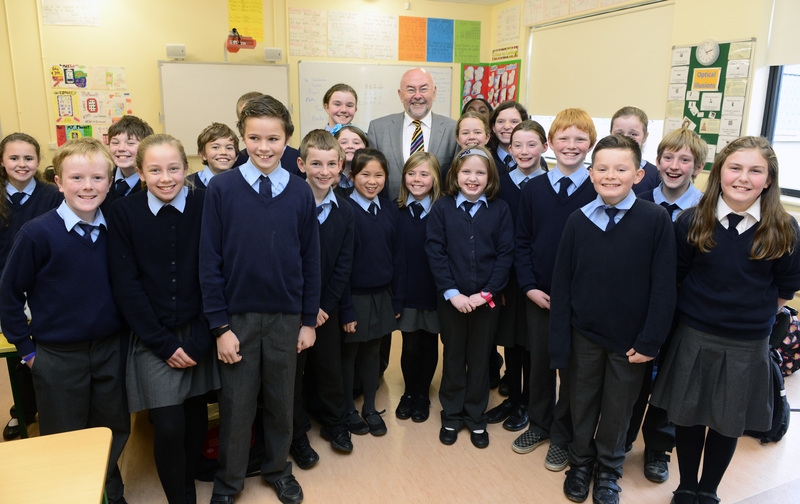 A jolly group of fifth class pupils with the Minister for Education and Skills, Mr Ruairí Quinn, T.D. (Photo: Andy Ferreira). 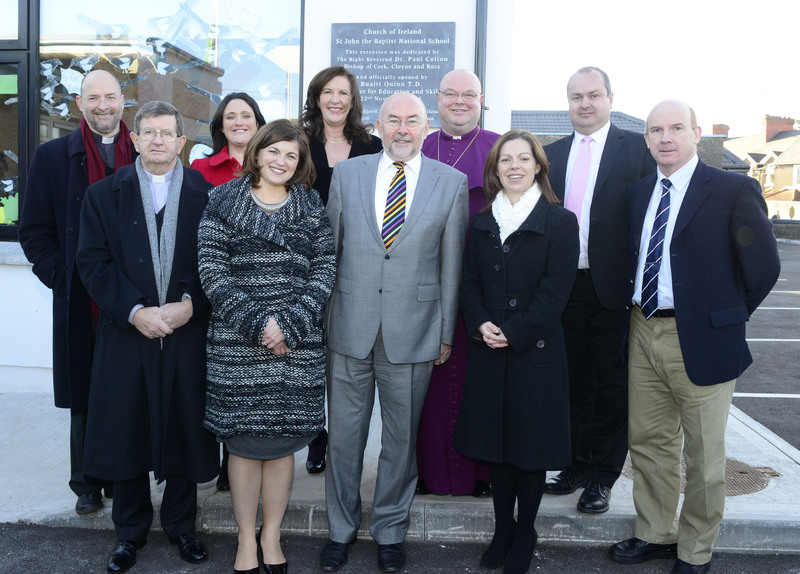 l-r the Bishop who is Patron of the School, Dr Paul Colton); Chairperson of the Board of Management, Mrs Daphne Spillane;, the Minister for Education and Skills, Mr Ruairí Quinn, T.D., School Principal, Ms Elma Huggard; and Minister of State, Sean Sherlock, T.D. (Photo: Andy Ferreira). Prayers of Dedication (Photo: Andy Ferreira). The Minister unveiled the plaque. (Photo: Andy Ferreira). A well-deserved tribute to the school Board of Management. (Photo: Andy Ferreira). This entry was posted in Church in Society, Diocese, Schools in the Diocese, Special Events. Bookmark the permalink.